J: FEAR. What is ‘FEAR’? Barn Owl: Fear is the feeling you get when you are scared. J: Oh. THE WISE MAN’S FEAR. So, what’s he afraid of? Barn Owl: I don’t know yet. I haven’t read that far. J: It’s plants. I think he’s scared of the plants. Moral of the story: Don’t judge a book by it’s cover. P.S. 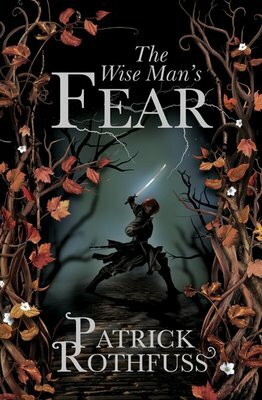 If you haven’t read the Kingkiller Chronicles series by Patrick Rothfuss yet, you really should. Check out this excerpt from Book One: The Name of the Wind. P.P.S. If you are already a fan of the books, checkout Patrick Rothfuss’s Worldbuilders site where you can buy signed books and cool merch from various awesome authors (and artists like Karen Hallion!) – all the proceeds go to Heifer International, which brings helps poor communities obtain a sustainable source income. Luc Besson writes and directs this action-thriller which means that you are virtually guaranteed one TOTALLY AWESOME MOVIE. Basically, see, this girl goes to Paris and is kidnapped by a human-trafficking ring, and then LIAM NEESON comes to BRING THE PAIN! The DVD also includes some great behind-the-scenes stuff which includes people running mannequins over with trucks. 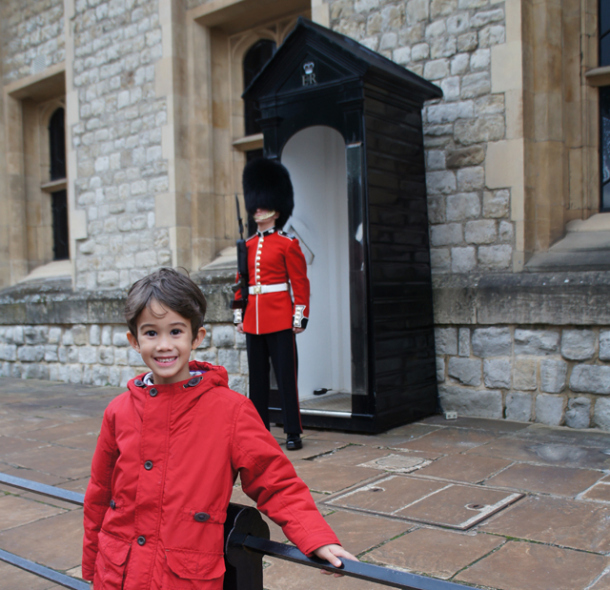 We’ve just returned from another visit to the Outlaws and we spent a whole day exploring London – on foot and on a budget! Not bad for a family with two little preschoolers! Read all about our walking tour of London at Owl Fly Away. Technically, I’m supposed to be studying for my final examination in Business Processes and Accounting Information Systems, which is happening at 6PM today. However, somewhere between reading a pile of information on COSO (Committee of Sponsoring Organisations of the Treadway Commission) framework and COBIT (Control Objectives for Information and Related Technology) 5, I suddenly felt the great need to write about important health things for health purposes. Therefore, I have taken a break from my studies to bring you this important health thing and tell you how to eat leafs. You probably recall from our shared childhood that I dislike eating raw leafs, particularly when they’re aren’t slathered in salad dressings. However, this last weekend alone, I have somehow managed the impossible feat of eating my way through two large boxes of mixed leaf salad from The Dinner Ladies (more on that later) without any salad dressing. These salads contained rocket, which I am well known to hate. 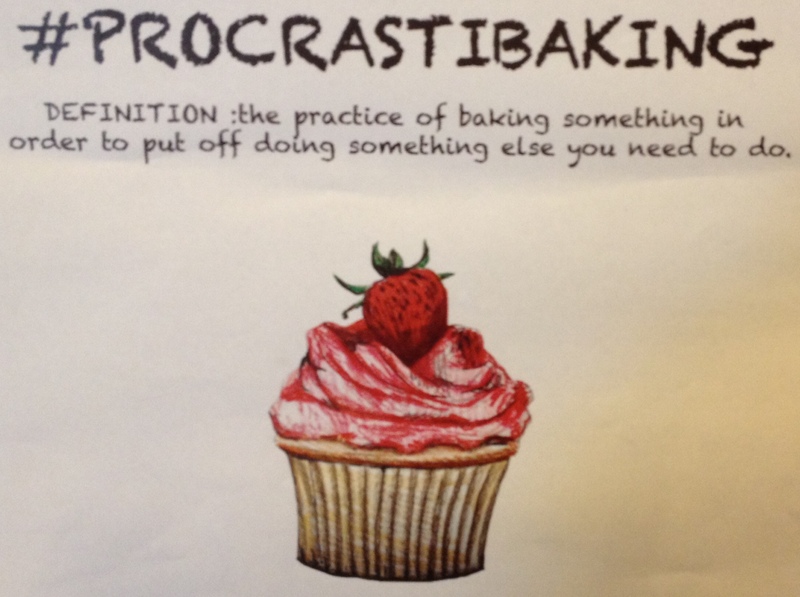 I have achieved this success through two methods. The first being the replacement of rice with leafs and the second being the development of a special leaf-eating technique, which Droo developed after watching me wrap hot Korean barbeque meat in perilla leaves at his birthday last year. 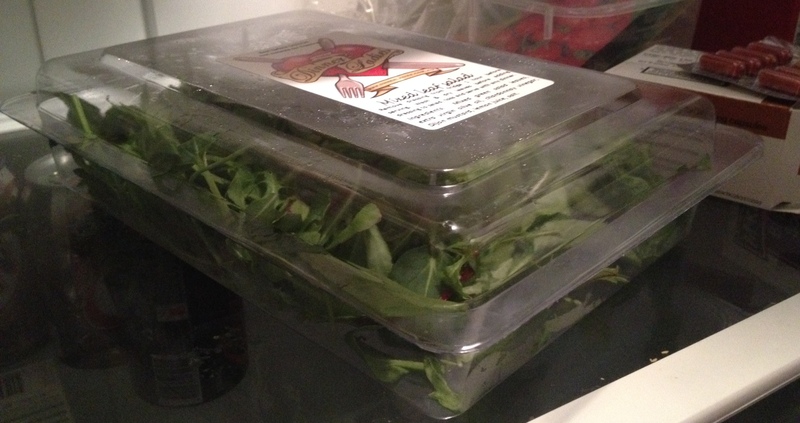 Keep your veggies sealed and crisp in the fridge! Before embarking on your leaf eating journey, first ensure that the leafs that you are eating are fresh and crunchy. This makes them more palatable later on. You can keep them nice and crisp in the crisper drawer of your fridge next to your seeds for the next Spring planting. Also, prepare meat with sweetish marinades or flavours, as the sweet juices will complement the bitterness of the leaves. 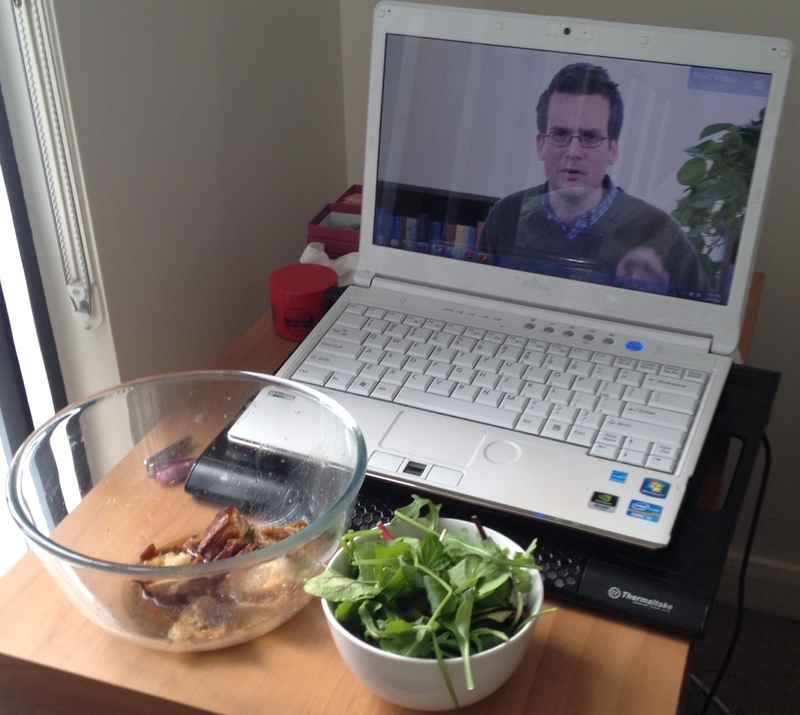 For maximum enjoyment and learning, meals should be eaten while watching Crash Course with John Green. Fill one bowl with a serve of your meat for the meal, and a rice bowl with leafs instead of rices. As leafs are fluffy and non-tiny, you will probably end up refilling the rice bowl multiple times with more leafs. Do not feel guilty about this. Leafs are good for you and will not make you fat, a benefit not shared by rice, which will totally make you fat. By the way, the leaves in this picture are a mixture of rocket, baby spinach and cos lettuce (I think), and come from the Dinner Ladies delicious fresh dinner services. 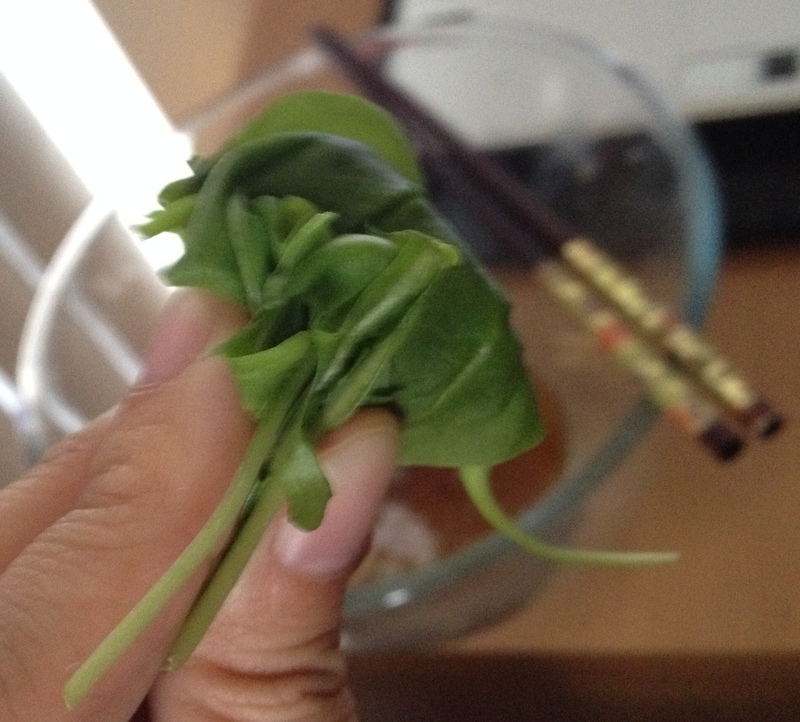 Fold the leafs into a small eatable pellet with your hands. This maximises enjoyment of the leafs because it invokes the forbidden art of playing with your food, which I am totally doing. Put a mouthful of meat in your mouth with one hand, and the leaf pellet with the other. Then enjoy it Ratatouille style. Now you have eat leafs and not rices. You shall be Healthy and you shall be Energy. Go forth and do awesomeness. I am calling them leafs because they came from a box marked “mixed leaf salad”, and also because you can say “leafs” without opening your mouth and displaying the greenery within, but you cannot say “leaves” without spitting out a little bit of the aforementioned greenery. Also because I am brain melt from exam stress. I’d curse the name of Jamie Oliver for bringing popularising rocket in the culinary world, but I’m a sucker for his delicious pastas, so he is forgiven for his transgressions against humanity. So, I had a couple of little empty cartons, so we decided to turn them into a little box village for all of J and Little E’s Lego minifigs. 1. Start out by dismantling the boxes. 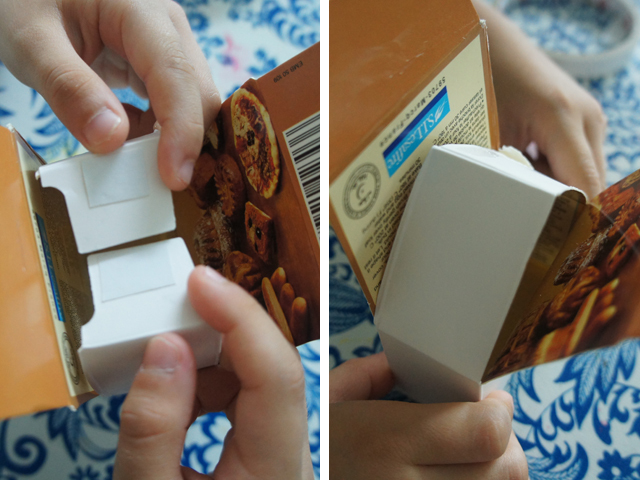 Carefully tear apart the flap on the inside of the box using your finger, so that the box is now completely flattened. 2. Using a ruler or straight edge, draw a line down the centre of the box using a pen. 3. 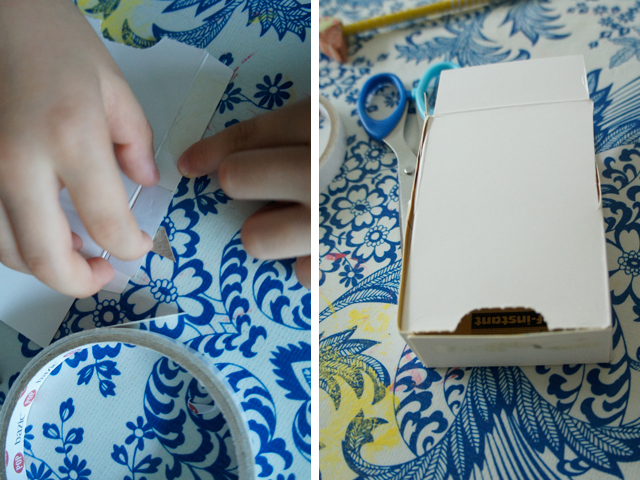 Use scissors to cut along the two narrow panels of the box, stopping at exactly at the line. 4. Crease the two narrow panels along the line. 5. 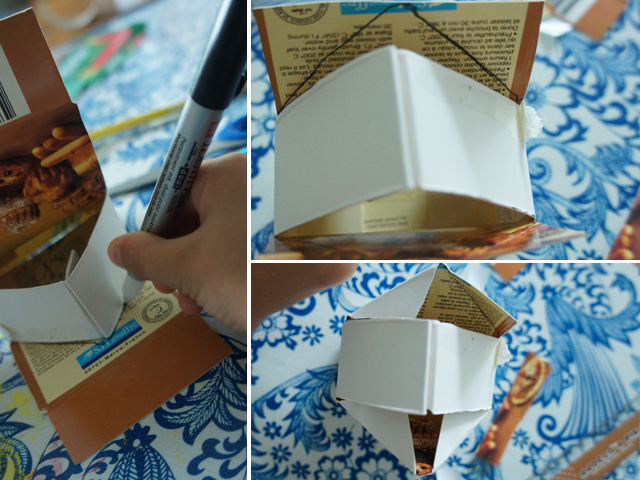 Turn the box inside out so that the blank part is facing out, and then glue or tape the sides and bottom of the box back together. (We used double sided tape). Make sure the cut narrow panels at the top are left free. As you can see, we chose a box that had a perforated hole, and we left that at the bottom as the door of the house. 6. Fold the two narrow panels towards each other to form the roof of the house and fix together with tape or glue (we used double sided tape). 7. 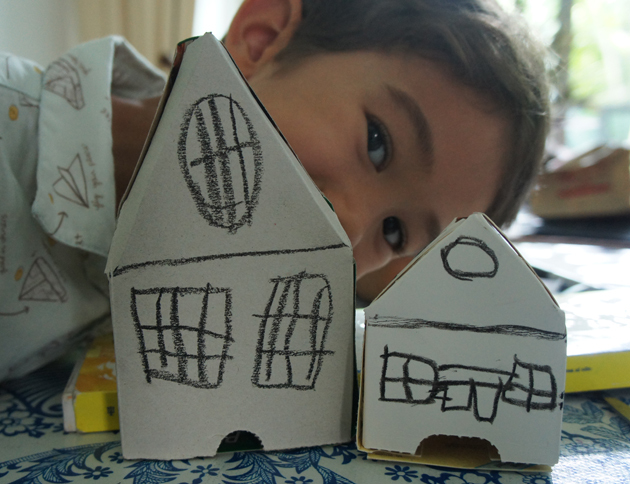 Using a pen, trace the outline of your roof onto the two wide panels. 8. Trim the spare cardboard straight across the top of two wide panels. 9. Crease the two wide panels along the pen outline, and tuck them into underneath the roof or on top of the roof, whichever is easier. You can fix them with glue or tape if you wish! 10. 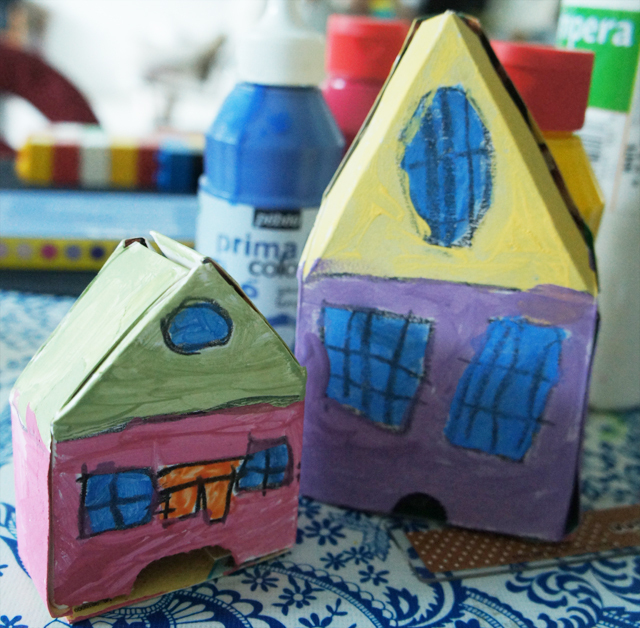 Draw in windows using black wax crayons or oil pastels, then cover your little houses with paint! Shine Healing Boomerang! 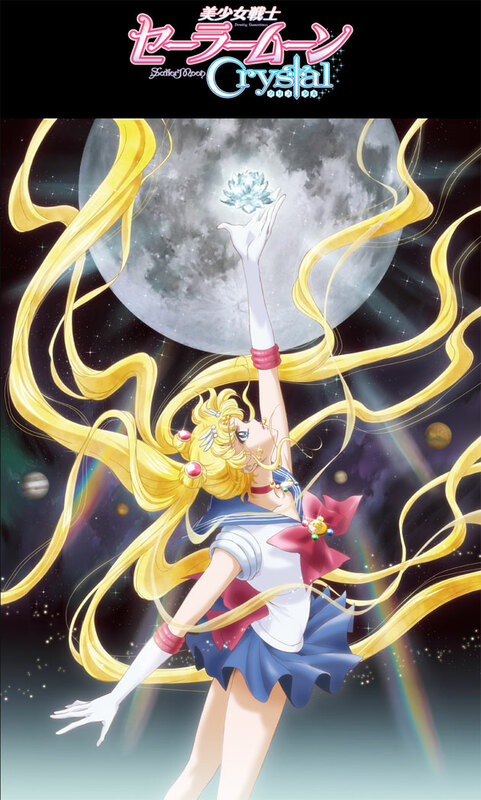 Sailormoon Crystal is coming! SHINE HEALING BOOMERANG, A NEW SAILOR MOON SERIES IS COMING OUT THIS JULY!! As a child of the early 90s, Sailor Moon holds a strong nostalgia factor for me. Back then, if you were a boy, you watched Dragonball Z, and if you were a girl, you watched Sailor Moon. So, when the new series, Sailor Moon Crystal, was announced, I was pretty chuffed. The show will be live streaming on Niconico Douga, the Japanese version of Youtube, which is great because it’ll have International reach. This thing is BIG. I mean, Isetan Japan just had like an entire actual Sailor Moon clothing collection released. Rumour has it that Sailor Moon Crystal is going to be a reboot of the entire series to a form that more closely resembles the original Sailor Moon manga by Naoko Takeuchi. This probably means less of the monster-of-the-week formula and more science fiction and violence. After all, it was Naoko’s intention to make a science fiction comic for girls. It’s a little disappointing for me, since I was hoping for a continuation of the original series, but I’m still looking forward to it nonetheless. Plus, having watched the trailer, I’m a somewhat disappointed with the super-skinny look of the main character. She looks practically consumptive. Still,I suppose that’s the style they’re going for. The animation is a lot better than the original, that’s for sure, though that isn’t hard. Modern animation techniques allow for more dynamic camera angles and movement. I like to imagine that the attack looks like a sparkly blue boomerang that shoots out rays of healing water. 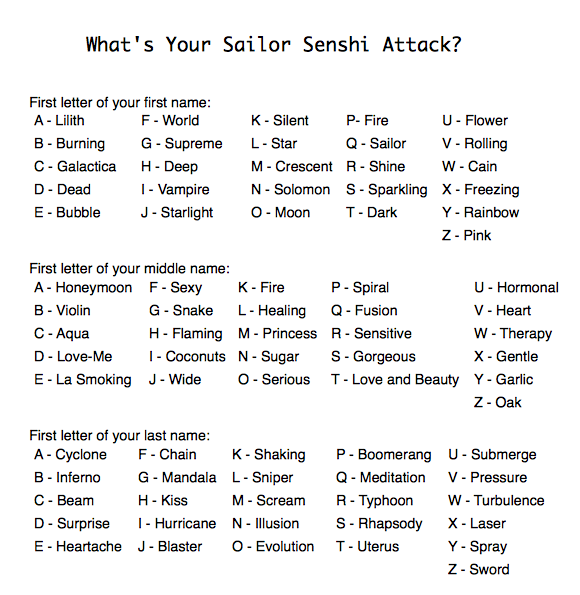 What’s your Sailor Senshi attack and what does it look like? Lacey got me one of their bags. It’s serviceable but not great. Mostly to find out how Tsukino Usagi gets from innocent schoolgirl marrying her college aged boyfriend to RULER OF PLANET EARTH. In which J shows us how to grow a runner bean and talks about the different parts of a plant. P.S. Watch Episode 1 of The Gifford Garden here.